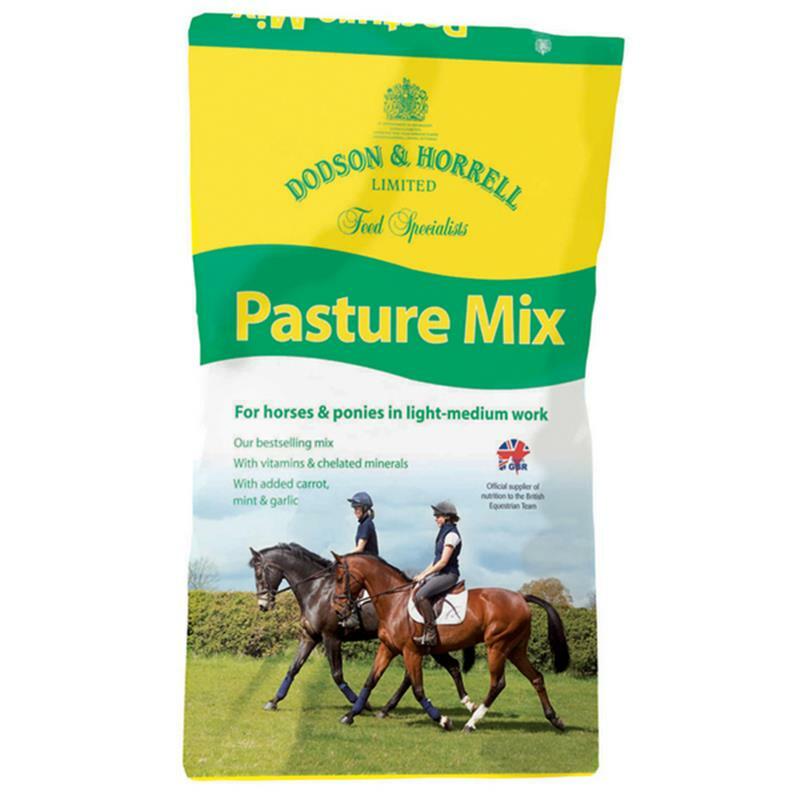 Dodson & Horrell Pasture Mix - 20kg. The Dodson & Horrell pasture mix is the original oat free coarse mix, formulated to give your horse or pony sparkle without fizz. Suitable for horses and ponies in light to medium work.